Home Amazon Pom Pom Wow! Craft Kit (Price Drop!!) Under $3!! Girls will love decorating with their own Pom Pom crafts with this craft kit on Amazon! Hurry and get the Pom Pom Wow! – Snap & Decorate Set today for $11.99 NOW only $2.99 from Amazon! Create unique, fun messages with letters you snap together! The Snap and Decorate Set comes with 18 plastic letter snaps in 4 colors, 50 pom poms in 5 colors, 1 roll of yarn, 3 decorative cards, and 60 adhesive dots. Pom Pom your world with Pom Pom Wow! Create unique, fun messages with letters you snap together! 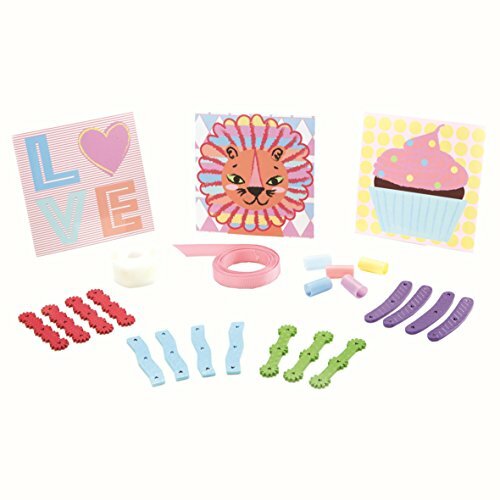 The Snap and Decorate Set comes with 18 plastic letter snaps in 4 colors, 50 pom poms in 5 colors, 1 roll of yarn, 3 decorative cards, and 60 adhesive dots. Buy the Pom Pom Wow! – Snap & Decorate Set from Amazon.